I didn’t hear of this album until 1981 when it was re-released in the U.S. By that time, AC/DC had already climbed to the precipice of rock with killer albums like “Highway to Hell” and “Back in Black.” “Dirty Deeds Done Dirt Cheap” was originally released back in 1976, when practically no one outside of Austrailia knew who they were. This was a shame because back then, AC/DC definitely had the hunger which many acts who haven’t made it to the big time have and this album is living proof of that. 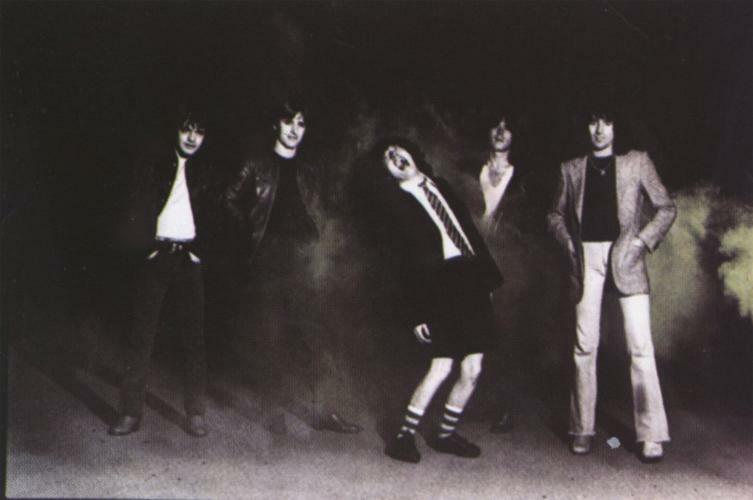 Like Judas Priest, AC/DC were an act that paid their dues throughout the 70s before making it big in 1979 and 80. I was one of the many, who after hearing either “Highway to Hell” or “Back in Black,” explored the early discography of this band. So, when this particular album came out, I immediately went out and bought it and I haven’t regretted it for one minute. While the album showcases AC/DC’s hard rocking sound that millions around the world have come to love, it also shows a more humourous side to them. Listening to the lyrics of the title track and the double entendre behind “Big Balls,” which must still give the PMRC a stroke, brings a smile to my face each time I have listened to it over the past 30 years. 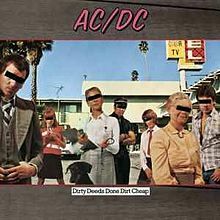 “Dirty Deeds Done Dirt Cheap” continues to be one of those lost treasures still enjoyed today. This is a classic album from one of the classic bands of all time. If you haven’t heard this album in a while, take it out and relive some great classic rock by a greatly loved band. This entry was posted on October 9, 2011 at 8:41 pm and is filed under Heavy Metal, Heavy Metal and the 1980s, Music with tags AC/DC, Books on music, Classic Rock, Dirty Deeds Done Dirt Cheap, hard rock, Heavy Metal, Heavy Rock, Judas Priest, Michael D. LeFevre, Rock And Roll Children, The 1970s, The 1980s. You can follow any responses to this entry through the RSS 2.0 feed. You can leave a response, or trackback from your own site. “Problem Child” should’ve been played on radio back in the day. I bought DDDDC on 8-track, (sometime in ’81). My first AC/DC album was “Back In Black”, also on 8-track. Yes… I will pull out DDDDC tomorrow and it will serve me right! I agree with your sentiments about “Problem Child,” especially as it appears on other albums as well. My first AC/DC album was “Highway to Hell” so it was only natural that I would buy “Back in Black” when it came out. Have a good time listening to DDDDC. Yup, brilliant album. Possibly my favourite AC/DC album. Awesome album. You’re right, right after the death of Bon Scott I remember hearing “Dirty Deeds” ” “Highway to Hell” and “TNT” all the time on the radio. Well said Coverdale. I remember hearing those songs too and others as well. Aw, this was a very nice post. In thought I wish to put in writing like this moreover ? taking time and actual effort to make a very good article? but what can I say? I procrastinate alot and under no circumstances seem to get one thing done.